The Meizu Note 9 appeared on TENAA with full specs last week, with photos added later. Looks like we dont have to wait until we have the whole picture unveiled – the company has scheduled an event on Thursday, February 14, where we expect the device to be introduced. The teaser has a silhouette of a phone, along with the number 3 which is simply how many days are left until the unveiling. 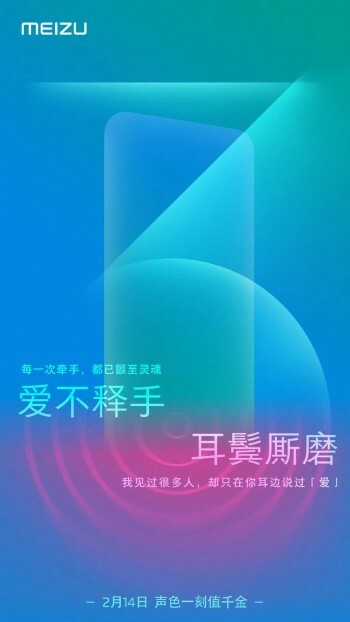 The Meizu Note 9, likely to arrive as Meizu M9 Note at some markets, has a model number of M923Q and has a few uncovered mysteries like pricing, availability and actual market launch date.